Dr. Patricio Huerta was born in the desert of north Chile. He attended the University of Chile, where he studied biology and philosophy and later earned a master’s degree in physiology. During this period, he worked under the guidance of Francisco Varela and Humberto Maturana in the laboratory of experimental epistemology. He later moved to Boston to pursue doctoral studies at Brandeis University and was advised by his mentor John Lisman to jump into action by learning electrophysiology. Dr. Huerta’s doctoral thesis dealt with the topic of theta oscillations and synaptic plasticity in the hippocampus. Dr. Huerta stayed in Boston for his postdoctoral fellowship and joined the laboratory of Susumu Tonegawa at Massachusetts Institute of Technology. He also worked intermittently in the laboratory of Matthew Wilson. His postdoctoral work focused on the mechanisms by which the synaptic receptor, known as N-methyl-D-aspartate receptor, participates in the molecular basis of episodic memory. In 2001, Dr. Huerta worked as an assistant professor at New York University. There, he befriended Chiye Aoki, Alex Reyes and Joe LeDoux. He subsequently migrated to the Burke Institute, an affiliate of Cornell Medical School, which allowed him to pursue biomedical research. Currently, he works at The Feinstein Institutes for Medical Research within Northwell Health. He is highly interested in exploring the interactions between the nervous system and the immune system in health and disease. During his training, and as an independent investigator, he has gained expertise in neural recordings of ex vivo brain slices, in vivo neural recordings of freely moving mice, brain anatomy and imaging, behavioral science, molecular genetics, genomics, immunology, and animal modeling of neurological and autoimmune diseases. Current projects include the development of clinically relevant murine models for the brain abnormalities occurring in systemic lupus erythematosus, and a robust model of sepsis-induced long-term cognitive deficit. His laboratory’s overarching goal is to isolate key neural and immune mechanisms that can guide us in the generation of rational therapies for brain disorders and autoimmunity. Dr. Huerta’s Laboratory of Immune and Neural Networks explores how the brain organizes cognitive behavior. The brain areas that are relevant for cognition have been well mapped anatomically, but the functional aspects remain elusive. Dr. Huerta’s team uses a multi-level approach to study the physiological processes and the brain areas that are engaged in cognition. NMDARs are localized within the most abundant synapses of the forebrain, which use glutamate as the neurotransmitter, and connect excitatory neurons in areas such as the cerebral cortex, the hippocampus and the amygdala. Normally, NMDARs participate in synaptic plasticity largely because of their high calcium permeability and “slow” deactivation kinetics (roughly a quarter of a second). These same properties, however, allow NMDARs to trigger excitotoxicity and apoptosis under abnormal conditions. 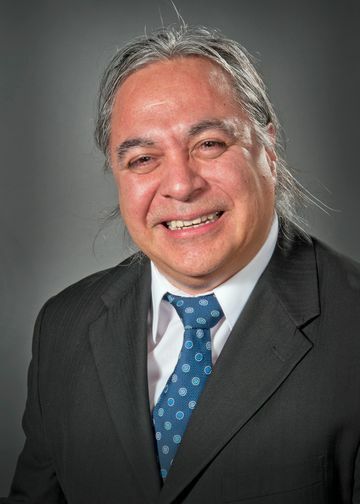 Dr. Huerta’s work, with the use of genetic techniques, has demonstrated that mice in which the NMDARs are deleted from the pyramidal cells of the CA1 region of the hippocampus are unable to establish spatial and temporal memories, confirming previous lesion studies and highlighting the molecular requirements for the formation of memory in the hippocampus. Dr. Huerta’s current studies focus on abnormal brain states that relate to glutamatergic transmission and the NMDARs. For instance, his team collaborates with immunologists at the Center for Autoimmune, Musculoskeletal and Hematopoietic Diseases to understand the role of neurotoxic antibodies present in patients with lupus, which bind to the mouth of the NMDAR in a linear sequence of 5 amino acids (DWEYS). Also, they collaborate with investigators from the Center for Research in alzheimer’s disease and Memory Disorders to study the role of NMDARs in mouse models of Alzheimer’s disease. Damaging interactions between antibodies and brain antigenic targets may be responsible for an expanding range of neurological disorders. In the case of systemic lupus erythematosus, patients generate autoantibodies that frequently bind DNA. Although some symptoms of lupus may arise from direct reactivity to DNA, much of the antibody-mediated damage originates from cross-reactivity with other antigens. Dr. Huerta’s team studies lupus antibodies that bind DNA and cross-react with the NR2A and NR2B subunits of the NMDAR (“DNRAbs”). In adult mouse models, when the blood–brain barrier is compromised, these DNRAbs access the brain and elicit neuronal death with ensuing cognitive dysfunction and emotional disturbance. The cellular mechanisms that underlie these deleterious effects remain incompletely understood. They have shown that at low concentration the DNRAbs are positive modulators of receptor function that increase the size of NMDAR-mediated excitatory postsynaptic potentials, whereas at high concentration, the DNRAbs promote excitotoxicity through enhanced mitochondrial permeability transition. The lab’s studies reveal the mechanisms by which DNRAbs trigger graded cellular alterations, which are likely to be responsible for the transient and permanent neuropsychiatric symptoms observed in patients with lupus. Some neuroscientists think the subiculum is mainly involved in spatial encoding because it receives prominent projections from the CA1 field, which is an essential substrate for spatial memory. However, the dorsal subiculum (DS) is also reciprocally connected to the perirhinal and postrhinal cortices, which are critically involved in recognition memory. This connectivity pattern suggests that the DS might encode not only spatial signals but also recognition signals. In rodents, recognition memory can be studied with the novel object recognition task (NORT) that takes advantage of the animal’s spontaneous tendency to explore novelty, so it does not require extensive training. Dr. Huerta is examining whether the DS is involved in recognition memory by recording with multi-electrodes in DS and CA1 of freely behaving mice, as they perform the NORT. Analysis of network oscillations has revealed that theta power is significantly higher in DS when mice explore novel objects as compared to familiar objects and that this theta modulation is absent in CA1. Dr. Huerta’s team has also detected DS units that are responsive specifically to novel object exploration, indicating that a subset of DS neurons is tuned to novelty during the NORT. They have thus identified clear neurophysiological correlates for recognition within the DS, at the network and single-unit levels, strongly suggesting that it participates in encoding recognition-related signals. Lee JY, Huerta PT, Zhang J, Kowal C, Bertini E, Volpe BT, Diamond B. (2009) “Neurotoxic autoantibodies mediate congenital cortical impairment of offspring in maternal lupus.” Nat Med 15(1):91–6. PMCID: PMC2615794. Diamond B, Huerta PT, Mina-Osorio P, Kowal C, Volpe BT. (2009) “Losing your nerves? Maybe it’s the antibodies.” Nat Rev Immunol 9(6):449–56. PMCID: PMC2783680. Faust TW, Chang EH, Kowal C, Berlin R, Gazaryan IG, Bertini E, Zhang J, Sanchez-Guerrero J, Fragoso-Loyo HE, Volpe BT, Diamond B, Huerta PT. (2010) “Neurotoxic lupus autoantibodies alter brain function through two distinct mechanisms.” Proc Natl Acad Sci USA 107(43):18569¬–74. PMCID: PMC2972998. Diamond B, Huerta PT, Tracey K, Volpe BT. (2011) “It takes guts to grow a brain: Increasing evidence of the important role of the intestinal microflora in neuro- and immune-modulatory functions during development and adulthood.” Bioessays 33(8):588–91. PMID: 21681774. Mackay M, Bussa MP, Aranow C, Uluğ AM, Volpe BT, Huerta PT, Argyelan M, Mandel A, Hirsch J, Diamond B, Eidelberg D. (2011) “Differences in regional brain activation patterns assessed by functional magnetic resonance imaging in patients with systemic lupus erythematosus stratified by disease duration.” Mol Med 17(11-12):1349–56. PMCID: PMC3321819. Wang L, Zhou D, Lee J, Niu H, Faust TW, Frattini S, Kowal C, Huerta PT, Volpe BT, Diamond B. (2012) “Female mouse fetal loss mediated by maternal autoantibody.” J Exp Med 209(6):1083–9. PMCID: PMC3371726. Chavan SS, Huerta PT, Robbiati S, Valdes-Ferrer SI, Ochani M, Dancho M, Frankfurt M, Volpe BT, Tracey KJ, Diamond B. (2012) “HMGB1 mediates cognitive impairment in sepsis survivors.” Mol Med 18(6):930–37. PMID: 22634723.